It's great to be back. I hope you're as excited as I am about what's in store for the Ditty of the Month Club in 2016, including interviews with some fabulous authors and editors (Douglas Florian is in the house!) 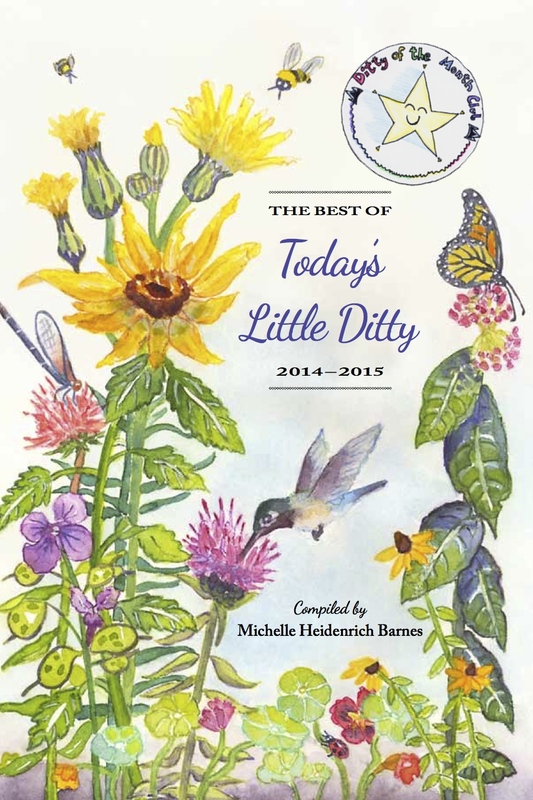 and reviews of new children's poetry collections, rhyming picture books, and verse novels. Thanks for coming along for the ride! Last month, Old Man Winter's frosty fingerprints were nowhere in sight. Now it appears he's taken up residence in a certain Manhattan studio. Believe it or not, Douglas Florian has been without heat for several weeks. (42 degrees at last check.) Fortunately, this endearing and enduring author/artist persists despite all obstacles, much as he has throughout his nearly 40 years of illustrating and writing for children. In lieu of a heat lamp, it's my pleasure to offer Douglas our first TLD spotlight of 2016. Douglas Florian was born and now works in New York City. He has written and illustrated more than 50 children’s books. These include beast feast, winner of the Lee Bennett Hopkins Poetry Award, insectlopedia, a national bestseller featured on National Public Radio and The Today Show, Dinothesaurus, which was a Bank Street Best Book of the Year, and Poetrees, which School Library Journal called an “exquisite collection.” He has recited his poetry at Carnegie Hall, The Museum of Modern Art of New York, and The White House, and he has visited more than 700 schools as an author/artist. 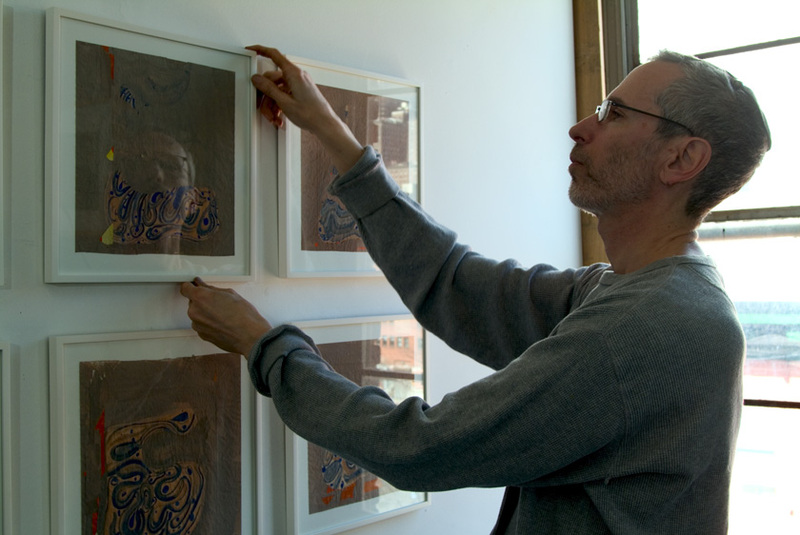 More on Douglas's art and poetry can be found at Seven Impossible Things Before Breakfast, at his website, and at his blog, Florian Café: A Poetry Commotion. 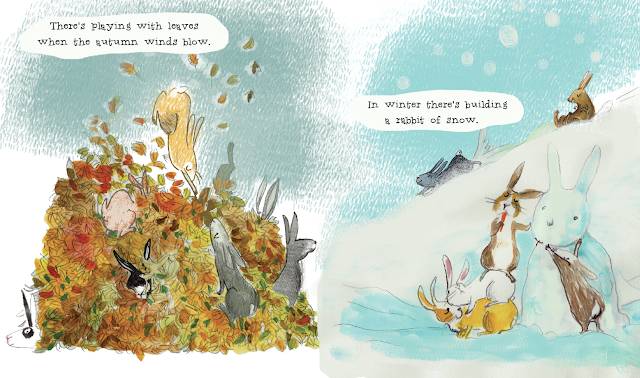 Grab some hot cocoa, a slice of warm ginger cake, and your coziest quilt, because there's no better recipe for winter bliss than snuggling up with Douglas' newest picture book with illustrator Sonia Sánchez: THE WONDERFUL HABITS OF RABBITS (little bee books, 2016). Your mission, should you choose to accept, is to find a favorite young child to share it with. Shouldn't be hard to do, but choose one that appreciates the finer qualities of bunnies. Not just their cuddly exteriors, but their exuberant, fun-loving personalities. The joy they take in leaping and creeping, exploring and lazing, chewing and thumping, giggling and playing. Not that there's anything wrong with being cuddly, mind you. This book is the ultimate in warm and fuzzy! In this title, Florian creates a rhythmic and rhyming tribute to rabbits. Unlike the bees in his UnBEElievables: Honeybee Poems and Paintings (S. & S., 2012), the habits in this title are imaginary, though Sánchez’s layered paintings create a world so well matched to the poetry that readers probably won’t notice…. Perfect for a lap-sit, this title works well for preschool and primary-aged storytimes and, with every rabbit different from the next, provides plenty of details for kids to pore over. VERDICT: A playful and appealing choice. An added benefit is that children will see themselves in these rabbits, so expect to have a discussion about all of their wonderful habits too! If you're familiar with what I would call Douglas' signature poetry—characterized by inventive language, freedom of form, and clever humor—you'll find the playfulness of THE WONDERFUL HABITS OF RABBITS quite different. It leans more toward sweet and charming, than mind-bending and witty. 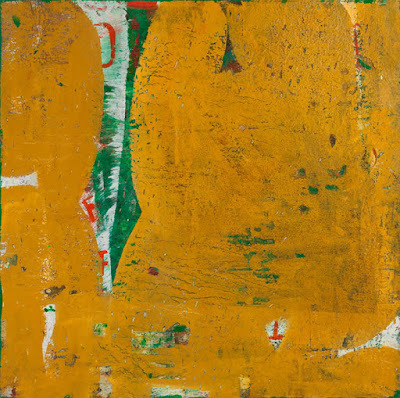 What does carry over, however, is Douglas' inclination toward a fresh approach, a unique perspective, and lighthearted sense of whimsy. You can't make somebody an artist or writer. They have to catch it themselves, like the flu. I can only take them interesting places and encourage them to be observant and open-minded. While I doubt the reason there's no heat in Douglas' studio is so that visitors can catch creative influenza, it's true that Douglas creates settings for children to play in their own imaginations. He inspires them, in words and pictures, to pick up their own pens and brushes. 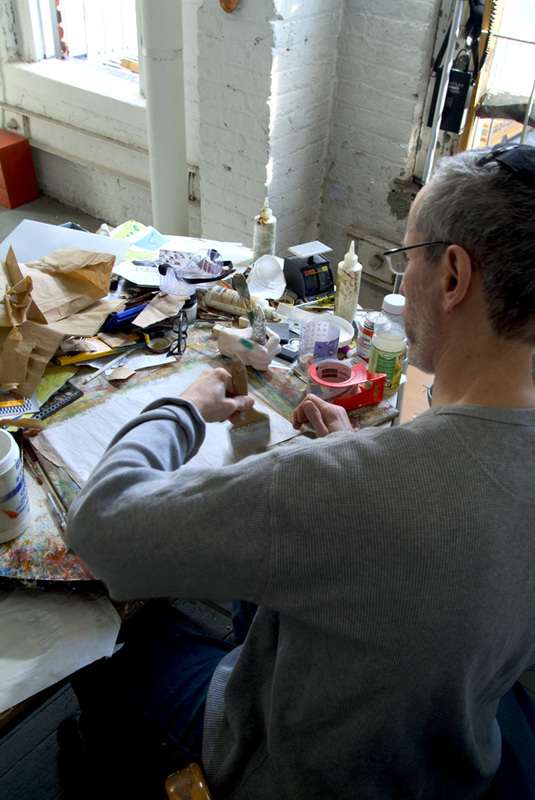 Douglas Florian, outside his studio on West 52nd Street. children of PS 111 playing in their schoolyard." –D.F. What drives you to create books for children and what aspect(s) of your career do you enjoy the most? In children's books today there is an enormous amount of freedom for both authors and illustrators. The only limit is one's own imagination and business restrictions of the marketplace. I always strive to create something new in a personal and heart-felt way. To do something no one else could have done. ...be dissatisfied and keep growing as a writer and an artist. When Hokusai was already 80 he said, "I hope to live to 90 so I can start to do something good." Also, keep your eyes open, your ears open and your mind open. You began your publishing career as a cartoonist and illustrator, eventually embracing poetry and self-identifying as an "Authorstrator" with numerous collections of your own poetry and paintings. More recently, with the publication of I LOVE MY HAT (Two Lions, 2014) and three works to be published by Little Bee Books this year: THE WONDERFUL HABITS OF RABBITS, ONCE I WAS A POLLYWOG, and LEAP, FROG, LEAP, you've handed the paintbrush over to other illustrators. You're writing picture books, board books, and even chapter books. Is this all part of your personal development plan? When I was working on my book HOW TO DRAW A DRAGON (Beach Lane Books, 2015) I had to pass my other books off to other illustrators. My dragon book took close to 2 years to finish, on and off. I'm doing chapter books as well because there is much more demand for them in schools today. It was a new and very involved experience to create two chapter books. 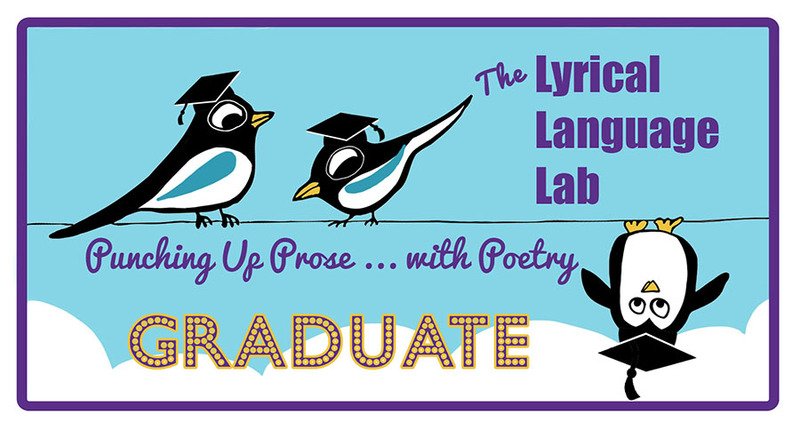 Are there practices from your discipline as an artist that you bring to your writing? 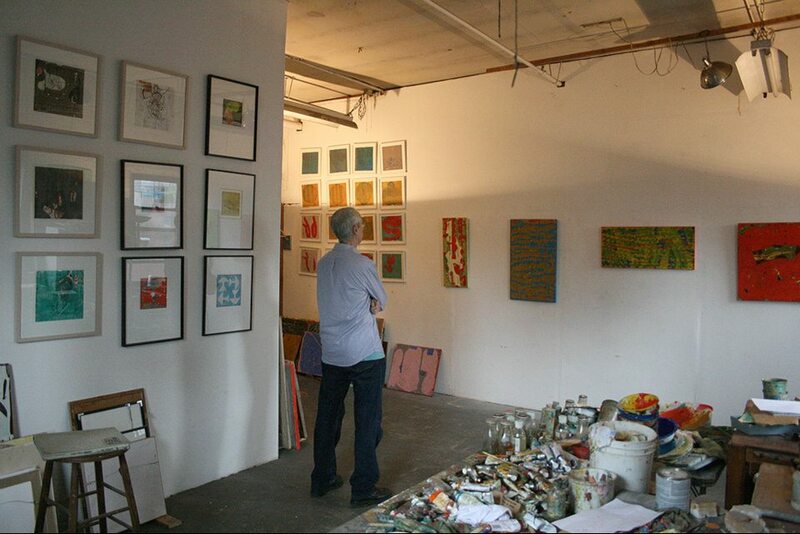 I get to my studio very early, about 7AM and leave rather late, usually 7 PM. Both as an artist and writer I try to be observant and open to things I see and hear, both new things and old. I also try to have something new or unique in each book. What inspired you to write THE WONDERFUL HABITS OF RABBITS? I took that as a dare to write something enchanting and fascinating about the habits of rabbits. That and the 77 rabbits in my home who kept nudging me. 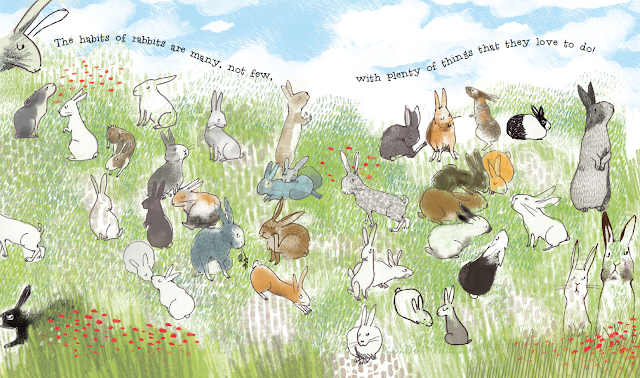 Would you share a favorite selection from THE WONDERFUL HABITS OF RABBITS and tell us why it's a favorite? There's playing with leaves when the autumn winds blow. In winter there's building a rabbit of snow. I think it's funny that rabbits would not only play with leaves but build a rabbit of snow. You must have had vivid pictures in your mind as you wrote the story. Does giving up the illustrator's hat feel like a loss of control, or is it freeing somehow? Can you give us an example of something Sonia Sánchez brings to the illustrations for THE WONDERFUL HABITS OF RABBITS that you admire? I did indeed have pictures in my mind and I wanted the illustrator to be on the same wavelength as those pictures. When Jenna Pocius of Little Bee Books showed me the art of Sonia Sánchez from Spain I knew she was the one to do that, and then some! I'm thrilled with the job she has done, so imaginative, and with so much variety. She has such a beautiful line, her characters are so expressive, and I love her rich textures. What are a few of your most wonderful habits? Almost every morning I take the same train to work, sitting in the same seat. When I get to my studio I eat the same breakfast: a Chobani strawberry yogurt and a mocha frappuccino. I check my email. Read the NY Times online, call my old college buddy, and then get down to work. Can you give us a hint about what's coming up next for you? I will have two more board books with Little Bee, and hopefully a sequel to our rabbits book. And I also hope that my agent Rubin sells my two chapter books. That and my retrospective at the Guggenheim Museum (just joking). I would tell them: My, what a big room this is! Let's sing some songs together! 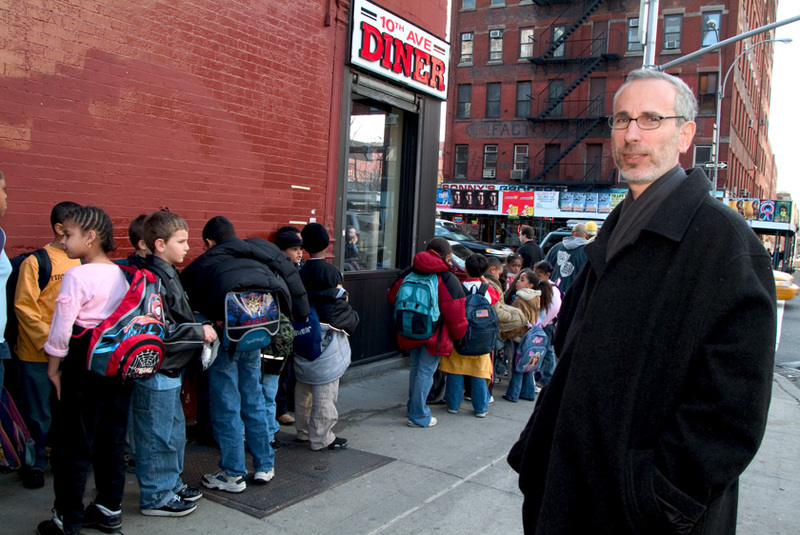 Douglas Florian with all the world's children... give or take a few. My ditty challenge is to write a poem about nothing. Whoa. Talk about starting the year off with a blank slate! Thanks also to Little Bee Books for generously offering a signed copy of THE WONDERFUL HABITS OF RABBITS for a random giveaway at the end of the month. You are free to interpret "nothing" however you like, but nothing would please me more than seeing your poem this month! 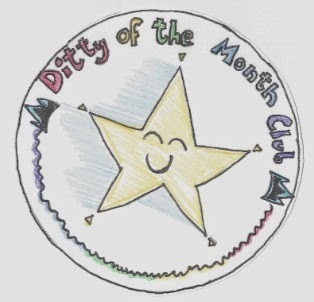 Throughout the month, send your poems about nothing to TodaysLittleDitty (at) gmail (dot) com or use the contact form in the sidebar to the right. 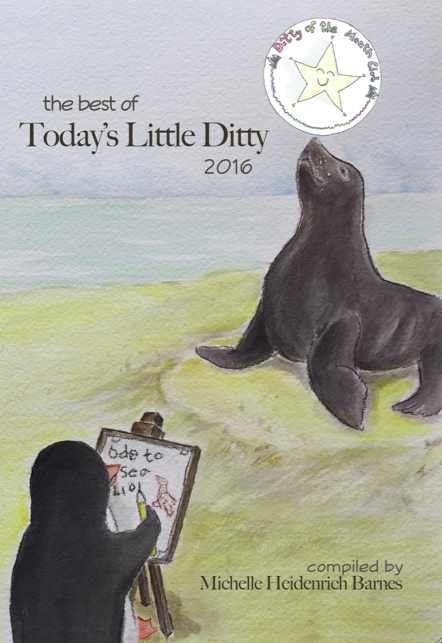 Some poems may be published on the blog as daily ditties, but all of them will appear in a wrap-up celebration on January 29th, 2016. 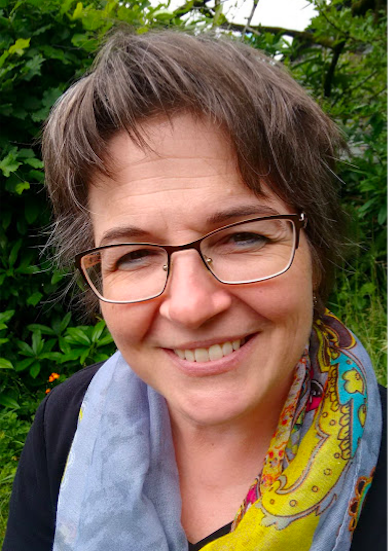 Follow the bouncing bunnies over to The Opposite of Indifference where Tabatha Yeatts is hosting today's Poetry Friday roundup. I love the end papers. 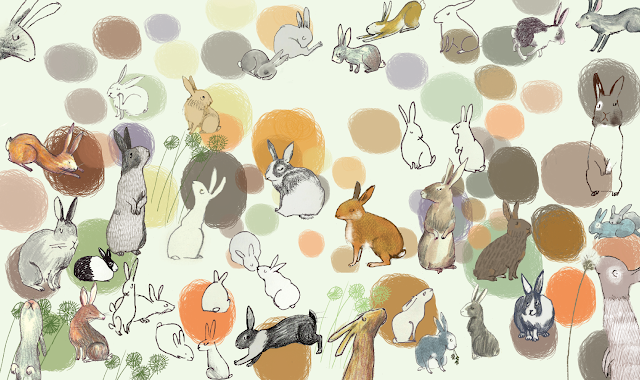 I find end papers fascinating and such a great way to extend a story (or in this case, the bunny love). Excellent post, Michelle and Douglas! Ha! I subscribe to that exercise plan as well, Diane. Happy New Year Michelle and Doug Florian. I have a short story...years ago I was a teacher and then a stay at home parent. When my hubs asked me when I was going back to work I panicked. I couldn't leave my babies! I stalled by enrolling in Library School. Then, I. fell. in. love. with children's literature and library. Doug Florian's books were some of my earliest WOWs as a to-be-school-librarian and they are still wows for me today. Thank you for this wonderful interview. 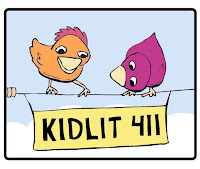 I am feeling the love for kids and words and rhyme and lit. Thank YOU, Linda, for sharing such a wonderful story! Sounds like stalling worked out for you big time. Good question, Tabatha... perhaps you can ask Foo Foo? Foo Foo recommends chewing holes in things until they become nothing. I guess there's a poem in there somewhere. Oh, yes! Do do that! Now that's a challenge! I'll be mulling that over all day (week/month) long. I love Doug's books and I look forward to reading this one. Wonderful interview, Michelle. Interesting challenge! I just read a picture book to my grands over the holidays, called Let's Do Nothing by Tony Fucile. Such a cute book. But a nothing poem. Hmmm. Mulling, me too. I just took a peek at Let's Do Nothing on Amazon. It does look cute! Thanks for the heads up, Dori. What a fascinating post. I love that he calls his college friend each morning. Connections matter. I love that he would sing songs with all the children of the world and has his studio where he can feel connected to PS children, looking out on his audience every day. I might write about nothing or I might do nothing. Nothing is as nothing does. :-) Happy New Year! I was touched by the routine call to his friend as well, Brenda. Most definitely a wonderful habit. This has to be one of the most awesome interviews of Douglas I've ever read! If it seems like I hang onto every word he says (or types) with stars in my eyes, it is because I'm truly star-struck by his brilliance. And he is a total sweetheart to boot! I can't wait to get my hands on The Habits of Rabbits! Happy 2016, Michelle and Douglas! Douglas is always so charming. Great interview -- and a terrific challenge! I think there's a lot to say about nothing. People do it all the time. Hahaha... what a wit you are, Renée. And ain't it the truth! Thank you for another great interview. Doug is not only a wondrous wordsmith he is a wondrous individual. Wondrous, indeed. Takes one to know one, Lee! I used so many of Douglas Florian's book in my teaching, and although those rabbits' habits of eating car wires has not pleased me, I love the look and rhymes in this new book. The challenge already has my mind whirling, Michelle & Doug. The weekend can be filled with "nothing"! Thanks for all, loved reading every bit. Ahhhhhh... the dreaded car wire-eating rabbits! We won't talk about that lot. I'm trying to remember how you finally resolved that problem. (I might have to go back and search your blog.) It was quite the soap opera though, I do remember that. There are many, many wonderful ones to choose from, Jessica. RABBITS won't be out until Feb 2nd, though. Douglas is one of my most favorite people on the planet. He's super talented and really REALLY nice. Thanks for interviewing this awesome human. And he's getting awesome-er by the comment! :) Looking forward to seeing what you come up with, Elaine. 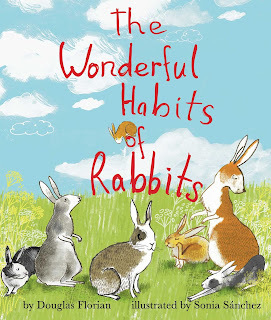 Excited to hear about Douglas's upcoming books and to learn more about The Wonderful Habits of Rabbits. Since I was born in the Year of the Rabbit, I have a special affinity for them. Such a multi-talented person. 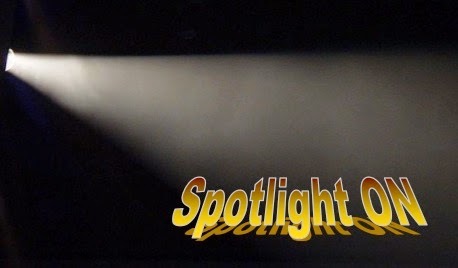 Thanks for the Spotlight! Happy New Year and happy pondering to you, Bridget! Great challenge, and wonderful blog review! Thanks for all you both shared here, Douglas and Michelle. I'm looking forward to pouring over your latest book too. I think you'll really like Sonia Sanchez's illustrations too, Michelle. This was such fun! I'm a huge Douglas Florian fan. I come back to UnBEElievables often (it may be my favorite) and it has inspired me to write a couple of bee poems myself. I have "nothing" to say about the challenge...but I might at some point. Ha! Well aren't you the punny bunny! Of course it will make you hoppy, Penny... I would expect "nothing" less. Thanks for the fun interview, Michelle! 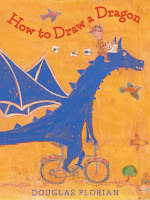 I love Doug Florian's work too-it's so kid-friendly and clever and the art is fun and whimsical. Looking forward to the Rabbit book! Rumor has it "Whimsy" is his middle name, Maria: Douglas Whimsy Florian. Nice ring to it, no? What a wonderful interview. Happy New Year to you both. I can't wait to read the rabbit book. Fabulous interview! I loved the peek into Florian's art studio, too. Isn't that a wonderful studio, Tara? It's no wonder he thinks of it as a favorite vacation spot. It's certainly a place I'd like to visit! I felt the chill coming from the cold studio, as well as the warmth of rabbits, lots of rabbits. In some ways I could consider that every poem I write is about nothing. Does this mean you accept anything? As long as you're convinced your poem is about nothing, I'm convinced, Margaret. A Mocha frappuccino man, I knew I liked him! Thanks for your interview, Michelle - Douglas is a great guy and hugely talented. I'll look forward to writing something about nothing - who knows, it could be anything! Mocha frappucino fans unite! Looking forward to whatever you write, Matt. I shivered reading about Douglas's studio. Don't know how he can work there! A poem about nothing is quite a challenge. Hope I can come up with something. Thanks for the post. I can't wait to read the new book. Stop your shivering, Rosi. Word has it the heat's finally back on! Just (really!) finished my morning Chobani strawberry yogurt. I have a Pavlovian response when I see the name "Douglas Florian" - I break out into an uncontrollable grin. This is definitely one of the best interviews I've read! Thank you both. And those illustrations by Sonia Sánchez! - One of the Snow Bunny builders is chomping on a carrot - hilarious. 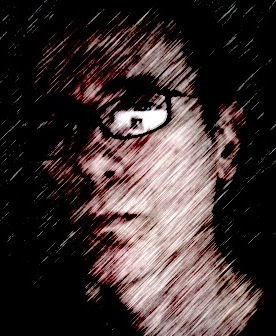 Okay - off to ponder nothing. Happy New Year! Thanks so much, Robyn. :) I'm glad you enjoyed the interview... and your yogurt. I just love his work. What a great interview, Michelle -- thanks! Great interview! I love Florian's work & I love getting to know the life stories & routines of authors/illustrators. Thanks for the great interview. I'm a rabid (rabbit?) fan of Douglas Florian's work, so it's good to meet the man behind the words. A poem about nothing? Game on! Thanks for sharing this terrific interview, Michelle! I love Florian's poetry and have been sharing it with my students for years. I'm looking forward to getting back into the habit of writing poems for your ditty challenges, and actually have an idea for one about nothing! Happy New Year! Thanks for the grand interview--I am a florianfan. And a poem about nothing? hmmm....there's an interesting challenge! I know you're up for it, Buffy! Wow, Michelle, how awesomely beautiful. His words about his favorite vacation spot are so cool. I LOVE THAT. LOVE IT! And LOVE him! Poetry about nothing, eh? Happy New Year, Michelle. I totally agree about his favorite vacation spot, Robyn. Makes me want my own writing studio. Happy new year! Did that fabulous author/artist/humanbean get above 42 degress in that creative space yet??? HOPE SO! Appreciations to you both, MHB & DF for much ado about 'nuttin. could be a flash in the pan. He did, Jan! See his comment two down from here. You made a snowbunny? Really? I have a photo of me as a child in New York with a snowkitty I had made. Pretty darn cute if I say so myself. Happy to report there is HEAT in my studio finally! A big warm hug and thank you to all those who responded on Michelle's Marvelous blog! And thank you, Michelle! Hooray for heat! Warm hug accepted and returned, Douglas. Michelle, I am just catching up with my reading and am thrilled that you showcased Douglas Florian. I have been a fan of his since the 90s when he visited my elementary school. 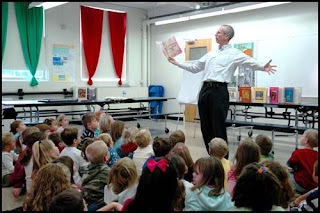 His beautiful illustrations and poetry thrilled the elementary aged children and all of the teachers. Each year, I kept copies of his books in my reading room for Read Alouds. His career has been one filled with joyful writings. Thanks for sharing his back thoughts and some of his poetry. I would be interested in writing about nothing so let me see if nothing takes shape. Loved the interview and can't wait to get my hand on that delightful rabbit-ful book! I'm also mulling over the challenge to write a poem about nothing and can't wait to see what others create. Thanks! Terrific interview. Love his work immensely. Am thinking about the nothing challenge.